Katie received her B.S.W from Madonna University in 1995 and her M.S.W. from Wayne State University in 1996. Much of her career has focused on supporting children, adolescents, and families from diverse backgrounds with issues related to learning difficulties, attachment disorders, sensory integration disorders, adolescent substance abuse, and anxiety. As a result she has a wealth of experience in assessment, Autism, ADHD, crisis management, depression, divorce, family and parenting issues, grief and loss, trauma/PTSD, positive behavior support and modification, problem solving, and stress reduction and management. 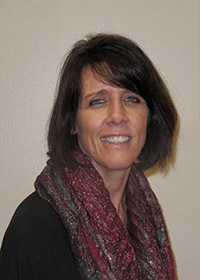 Katie has experience working within the out-patient substance abuse setting, behavioral health out-patient settings, and social service agencies and currently as an independent practitioner. She has been providing mental health and substance abuse treatment since 1996 addressing a wide range of behavioral health issues. She has a longstanding focus on helping couples, children and families cope with psychological and physiological issues impacting family cohesion and functioning. Katie has served as a licensing and adoption specialist for the past eight years at Hands Across The Water, Inc., in Ann Arbor. Katie’s roles have included but not limited to grant writing, foster care licensing, domestic infant adoptions, international adoptions, recruiting and outreach, facilitating educational and support groups for families as well as implementing programs and services for the agency. Katie believes that psychotherapy relies on a relationship of mutual respect and honesty between the therapist and client. Her approach to working with people is unique for each person. Katie’s personal and professional experience leads her to believe that there is rarely one cause for emotional pain or dysfunction, and there is more than one path to emotional health and well-being. Katie uses her knowledge as ways to increase awareness, build skills, accomplish change, and achieve the results that enhance relationships and life experience.